Park Slope Moms is a dark comedy series created and produced by NYWIFT member, Alexandra Foucard and directed by NYWIFT member and Primetime Emmy winner Annetta Marion. Park Slope Moms is a dark comedy set in an affluent, progressive neighborhood in Brooklyn. High powered lawyer Carley Fuller-Fowler becomes a stay-at-home mom after baby number two. Just when she thinks she has made a mistake, she’s named PTA President and finds a new sense of purpose while governing with an iron-fist. The other moms, including Carley’s frenemies Angela and Paula, are enraged at Carley and turn to the mysterious new mom, Nina, for help. When Nina and the moms are unsuccessful in subverting Carley, they seek the help of Park Slope. Donations will go towards the filming of the project and post production. Check out our website, Twitter, Instagram, and Facebook. Alexandra Foucard is a Grammy-nominated, Broadway actor, writer, producer with over 20 years experience in theatre, film and television. 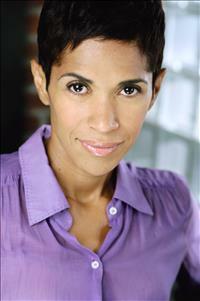 Alexandra is a member of SAG-AFTRA, AEA, The Dramatist Guild, The FilmmakeHers, NYWIFT and Howard University Alumni Association.